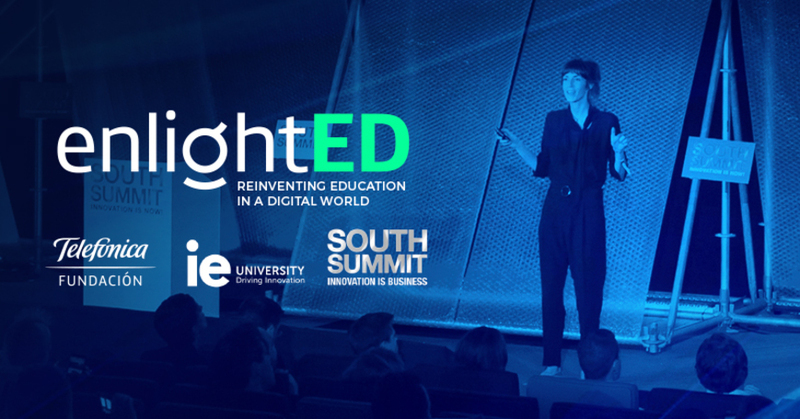 enlightED is scheduled to take place from the 3rd to the 5th of October in Madrid, Spain as a part of South Summit. It is an international conference that will bring together education, technology, and innovation experts to promote debate on education in the digital age. It is organized by Fundación Telefónica, IE University, and South Summit. enlightED will award prizes to the best 10 ed-tech startups worldwide, which can be at any stage of development. Selected startups will be among the finalists of South Summit and will have the opportunity to have their own space at the event. Finalists will travel to Madrid to present their projects and, in addition to the South Summit competition prizes, will be eligible for the enlightED Awards, deadline for applying is August 17th. South Summit is a global innovation platform that connects innovators from Southern Europe and Latin America to the powerful investors and corporations. The event is set to have over 650 investors, 450 speakers, and 3500 startups. The speaker list includes officials from organizations like NASA, Microsoft, VISA Europe, Amazon and much more.